There are very few things more annoying than a break, tear, or hole in your drywall. Many of these projects can be fixed without the need to call a contractor or drywall specialist out to your home. With a little patience and the right tools, you can patch any drywall issue –from a small blemish to a big hole– with relative ease. 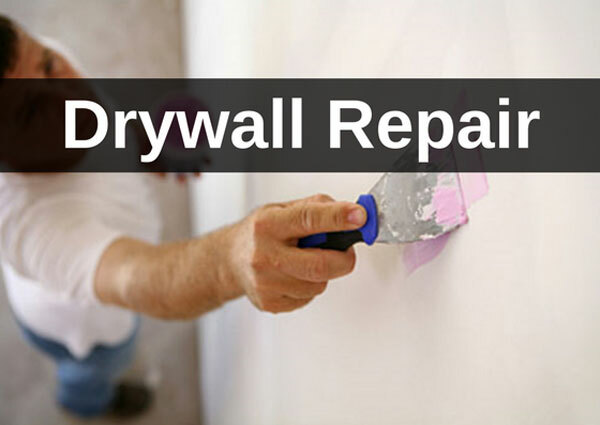 Here are 6 steps to a successful drywall repair. 1. If you have a large or persistent crack in the drywall, you may need to use fiberglass tape as well as the drywall compound to fix your wall. 2. Follow these instructions to repair your drywall: a) Scuff the loose material out of the crack with the edge of your knife. b) Apply thin coats by forcing it into the crack. Do not fuss with it. c) Immediately place the fiberglass tape over it. Make sure to insert the tape into the compound. d) Let everything dry, and then apply one or two coats of thin coats over the tape until the repair is level enough e) Sand the affected area using sand paper until it’s smooth. 3. For minor drywall repair or less persistent cracks, fiberglass tape is not required. However, make sure to scrape any loose objects out before repairing. Place a little bit of flexible caulking into the crack before patching in order to keep it from reappearing. 4. In case you don’t have any of the original paint, take a sample to your favorite paint store and have them match your paint color. You may want to get a color that will blend in your existing wall without any visible marks. 5. Paint the affected area using a very small roller instead of paint brush. The roller will not leave a noticeable mark like a paint brush does. 6. Paint beyond the damaged area to blend it with the remainder of the wall paint. In case your wall has an existing texture, try your best to duplicate it. Some wall textures may be purchased in spray cans. If the damaged area is very small, then it will be difficult to notice the difference in texture. Popped Nail Repair Tips: Sometimes your drywall is damaged due to popped nails. A popped nail is spot on the drywall that kind of resembles a pimple. This occurs when the sheet rock nail moves and the drywall remains put causing the nail to pop. Same result takes place when the drywall moves and the nail remains put. Popped nails are caused by several factors. Regardless of the cause, you should always remember that you cannot fix the popped nail by just hammering the nail back into the wood. Hammering a popped nail creates a larger a hole in your wall. Plus, the nail may pop out again in the near future. Settling is one of the causes that make the sheet rock nails pop. If you think your home is settling tremendously or too quickly, you may need to consult with a foundation expert. Serious settling issues may require structural repair.